Imagine this. 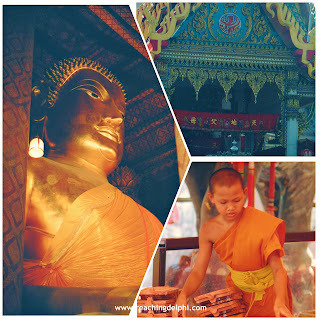 You are in Thailand, and you only have one free day to spend in the surrounding areas of greater Bangkok. What do you do and where do you go? 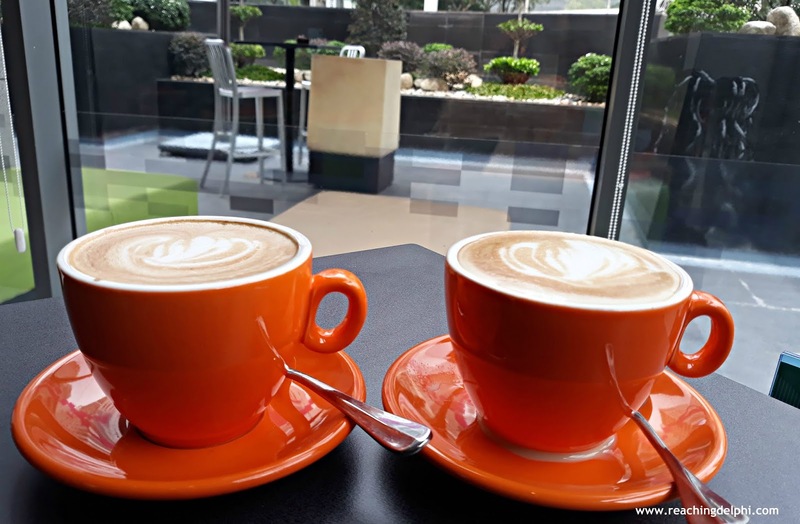 You are right to note that Bangkok is one of the greatest and trendiest cities in South East Asia and, that there is so much to see and do in the capital itself. The next question that comes to your mind would be 'why see outer Bangkok then?' Simple, you have come so far and I wouldn't want to see you miss out on seeing the beauty of the next place I am taking you to @ReachingDelphi. 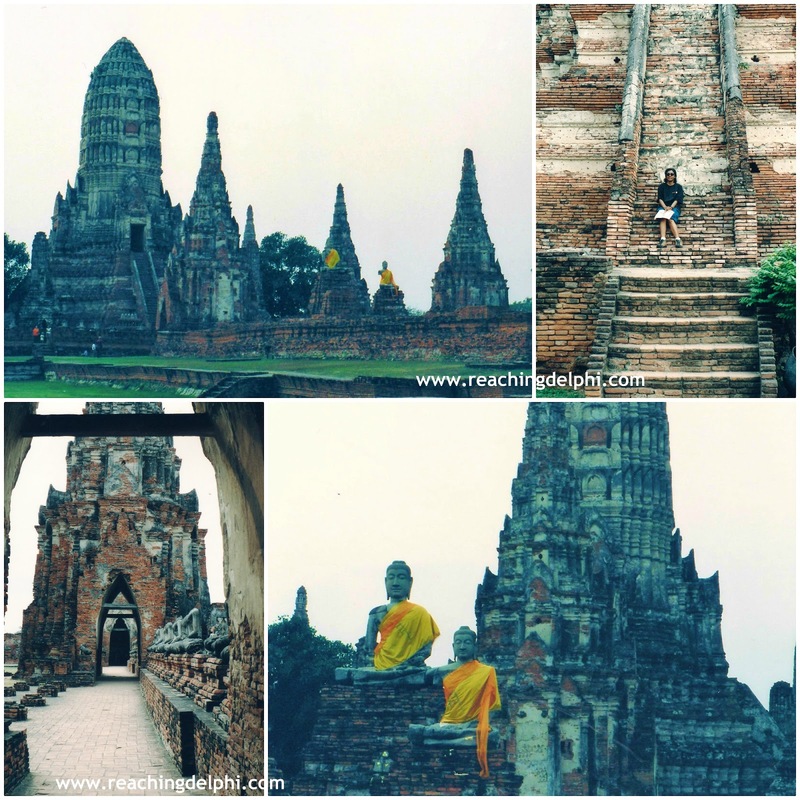 One of my favourite destinations near Bangkok is Ayutthaya. 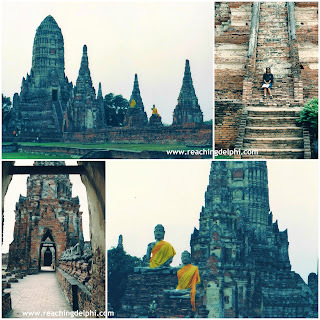 Ayutthaya is located approximately 80 KM north of Bangkok. 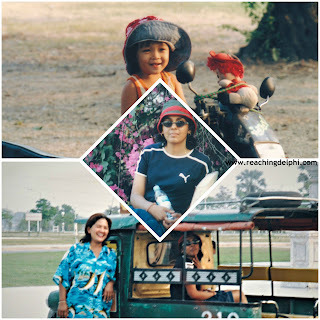 Getting to Ayutthaya is relatively easy and can be very exciting. Rail – We landed in Don Muang Airport and we decided to take a train from here. This is a medium paced, comfortable and cheap one-hour ride. The service is regular by my expectation. There are also trains services from the Suvarnabhumi Airport area. During the trip, don't forget to test for responses as you greet sawadika to the locals and gauge the distance your kop khun kaps take you. 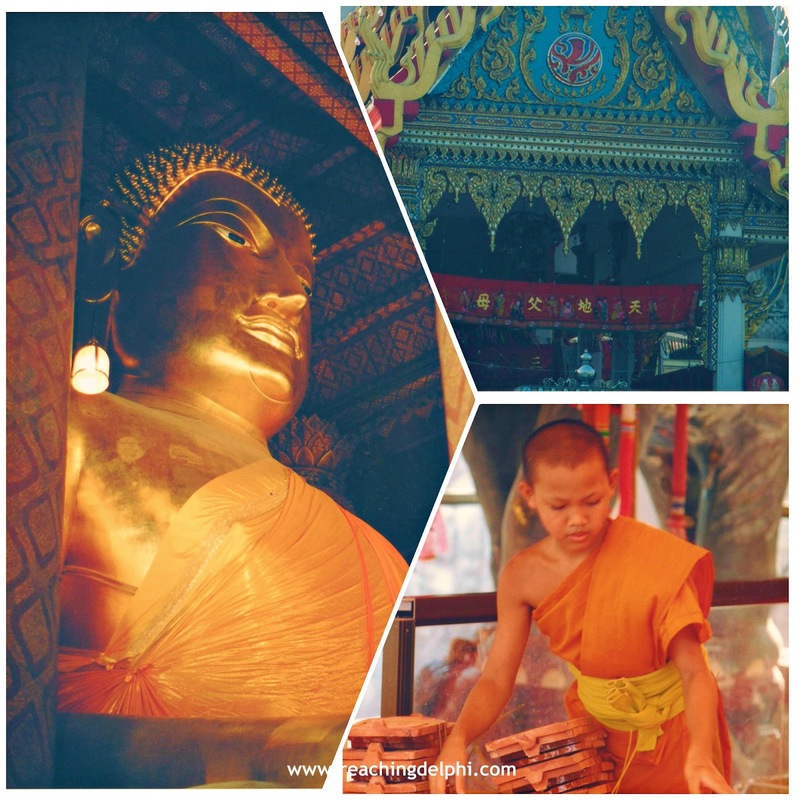 Boat tours from Bangkok – if you have slightly more time and budget, this would also be an exciting way to get to and explore the ancient city. 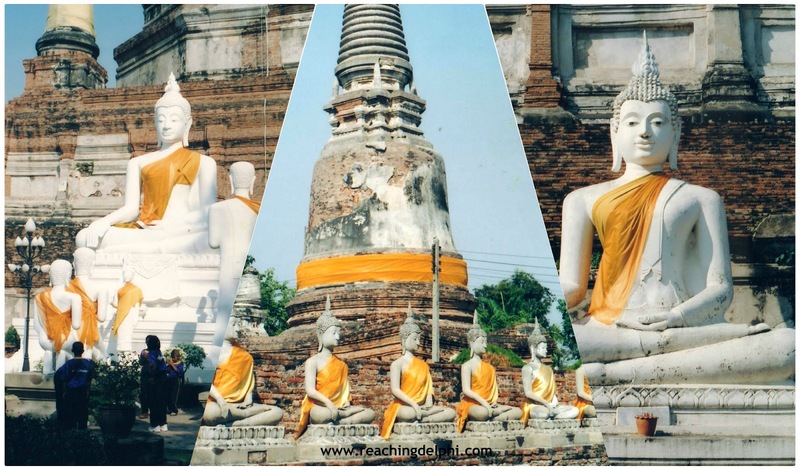 Regardless of your travel type – a stopover between two cities, on a strenuous business trip, a romantic get-away, seeking a hideout, or a casual traveller to the region, you will find that exploring Ayutthaya is easy as it displays the rich history of its tangerine-set landscape very openly. And why Ayutthaya? We are here today to see and feel for ourselves the serenity of the ruins where a great Siamese kingdom once stood. The Ayutthaya Kingdom ruled between 1351 and 1767. It was the second capital of Siam. 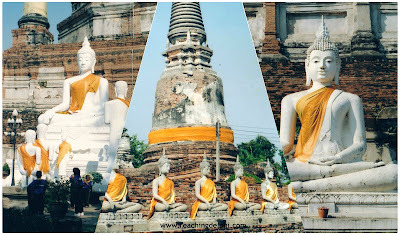 Ayutthaya is also known as Phra Nakhon Si Ayutthaya. The Burmese invaded the city of Ayutthaya in 1767 and burnt it down. 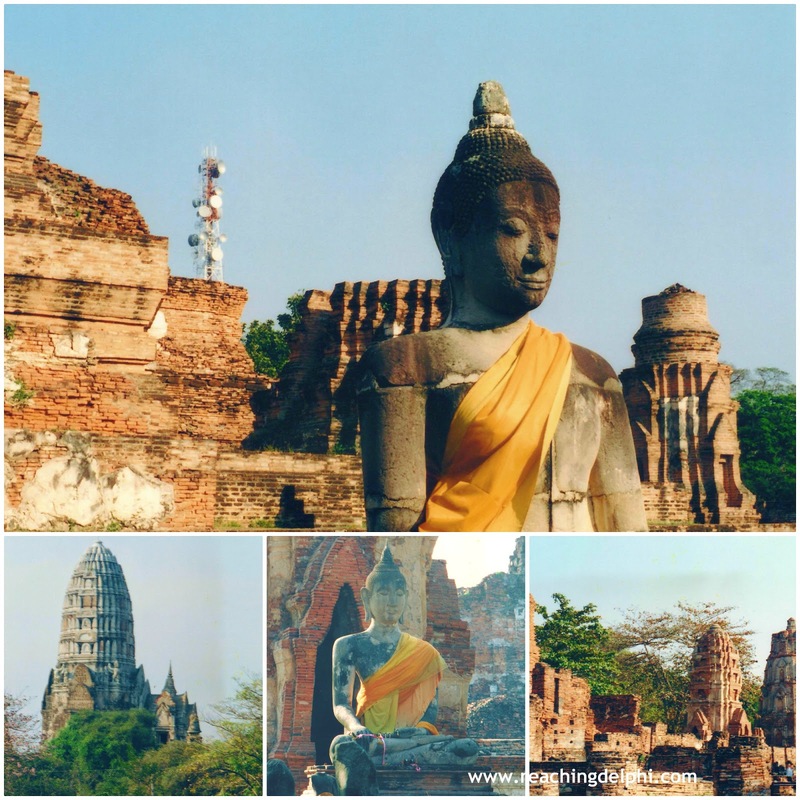 Today this area, where the temples and ruins stand, makes up the Ayutthaya Historical Park. The park is situated in the centre of Ayutthaya and is a UNESCO World Heritage Site. Some of these temples have been restored while restoration is still in progress for many more. We were informed that the heads of the Buddhas statues were stolen from most temples during the invasion. Today, as part of the restoration, new ones have been placed. As you walk along, observe and spend more time at the park, you will realise that each Wat (temple) is different in structure. These unique ruins are very well preserved. So, you have reached Ayutthaya by train. Now what? You are now left with another important decision - how do you explore this city? Do you want to be adventurous? You could opt for the tuk-tuk way, as we did. A tuk-tuk is a local taxi in Thailand. Every region in Thailand has these. Here are some tuk-tuk essentials before you start your Indiana Jones exploration. Wat Chaiwatthanaram, simply magnificiant, and those steps..
Tuk-tuks are usually operated by the individual drivers. After a few phases of can-cans and same-same-s, your deal is sealed. You are now the captain in your taxi and assumably know where you are heading to next. There are plenty of ruins, palaces and temples at the park. Frankly, one day is not sufficient, but your tuk-tuk driver will offer you a menu of choices and places you can cover within your limited time constraint. Our tuk-tuk driver suggested several spellbinding temples to visit, we went with her expert suggestions and, we were not disappointed at all. Though some temples were more exciting than others, all are worth the time for its history. Again, remember to negotiate a comfortable price. 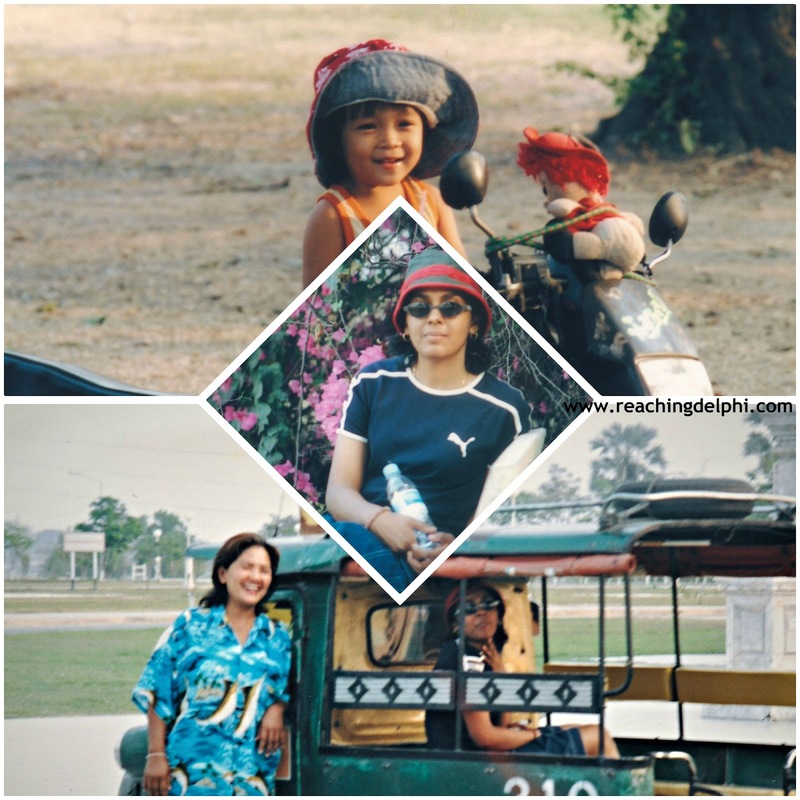 Since I didn't know how to handle a motorbike or ride a bicycle steadily, I found the tuk-tuk being the cheapest and the most flexible option for my travel group. Hungry– Here is a handy Thai phrase when travelling in this country. Keep it safe. ‘Aa-han Jey'. It means vegetarian food. Our tuk-tuk driver took us to a local Jey (vegetarian) shop in a residential neighbourhood on the outskirts. The food was just a few Bahts for plenty of delicious variety. Since there are lots of shops, stalls and restaurants around, you don't really have to carry along too much emergency supply. If you get a chance, do try some local spicy papaya or mango salad. Thirsty? Stay hydrated - Make frequent stops. There are lots of cold iced-coffee and juice stalls along the way. While in Thailand, opt for fresh tropical fruit juices like pineapple, mangoes and coconut. Find a spot to meditate, maybe behind that door? Take short breaks in between temples to absorb in and digest the events behind this great civilisation. Have more extended stops if you are travelling with young children. Again, you have control over time. Some of the ruins and temple areas have relaxing and shady places where one can meditate or do some soul-searching. If you do not have a reference book on the national park or have not read up on Ayutthaya, engage a guide who speaks the same language you do for a couple of hours. You can do this at the park itself. It is indeed a bonus-deal if your tuk-tuk driver is also your guide. To Sir with Love. Duty. If your feet are tired and you have decided that one day is not enough, stay a night here. There are plenty of safe, clean, low-medium priced accommodation if fancy is not the criteria. There are also quite a few higher-end hotel options in the neighbourhood. Our Tuk Tuk ride. This trip was made years ago but it feels like I had just visited today. My coffee image is one from a familiar surrounding. The bright orange cup reminds me of the red-and-yellow sunlit ruins of the grand Ayutthaya. The coffee cup and the coffee are both as hopeful as the Mississippi which I talked about in 2017. (https://www.reachingdelphi.com/2017/03/get-your-mississippi.html). If I were to give this a name, it would be the Chao Phraya because it looks zesty-vibrant yet so at peace with itself, just as the Chao Phraya River front in this blogpost. Many of us have set out a new sail recently. May the Chao Phraya help us all find the Zen we are looking in this journey. Search and reach for those stars. Reach for Delphi. The Zen and the answers you are looking for are not too far away. Enjoy your cuppa. Wow it must be a really cool place to see. I agree with you that only one day is not enough to enjoy all these places.